Home / Unlabelled / We just designed this on a steep sloppy land. We just designed this on a steep sloppy land. The block was shared for the landlords convenience. A retaining wall built to make the sharing posible. This pic shows the tenants side. This is a pic showing cut and fill. This pic shows splits to follow the gradient of the slope. Inspirational picture to show building on a steep sloppy plot. After designing this particular building on a sloppy plot. We decided to write on tips to handling a sloppy plot. 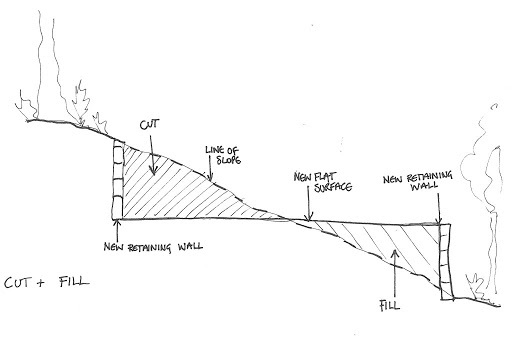 Cut and Fill: This describes the process of carving out a level plinth on a sloping site, in order to build a home that is essentially designed for use on a level site. Any spoil that is cut from the bank is reserved in order for it to be brought back to make up the levels on the lower edge. Depending on the type of slope you are working with, this can be a more cost effective solution as you don’t have to cart spoil away from site. 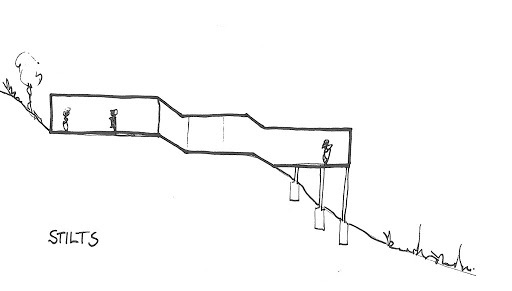 Stilts: Building on stilts is one way of addressing steeply sloped sites. This avoids the need for expensive foundations and also negates the requirement for tanking. The other benefit is that it leaves the ground untouched. It could also be implemented on multiple levels as shown. 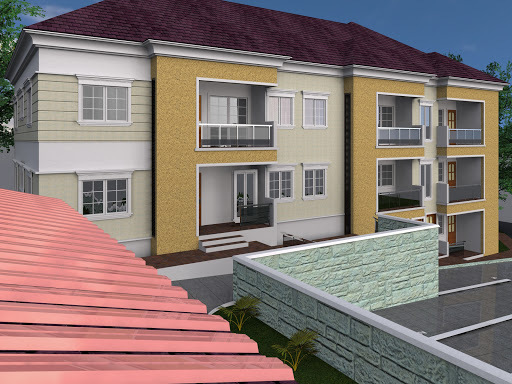 In the design we did for a project at ikorodu, Lagos. Basements and Retaining Walls: When creating basements on sloped terrain, the walls are often subject to a lot of force from the surrounding banks of land and therefore becoming retaining walls. Structural engineers will need to be involved in the design of these structures, and detail design stage is important to ensure good water proofing. 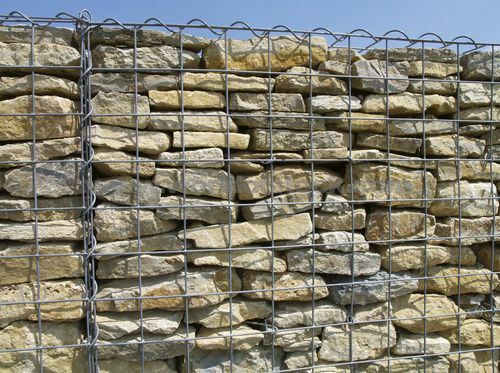 Another option is stepping the ground by using low level retaining walls, or gabion walls. Drainage: Your sloping site may dictate higher building cost with regard to drainage and sewers, depending on the size of the project. If the sewerage system is uphill from the site, will you need to have pumping systems installed? If the system is downhill, you may need to slow flow down to the sewers. You will need to consider water run off from the site and make sure you make sufficient measures to deal with surface water. Investigate soakaways and drainage channels to make sure your surface water is dealt with correctly and doesn’t end up flooding your lower floor or the surrounding area. Views: This about views and maximising the views wherever possible. 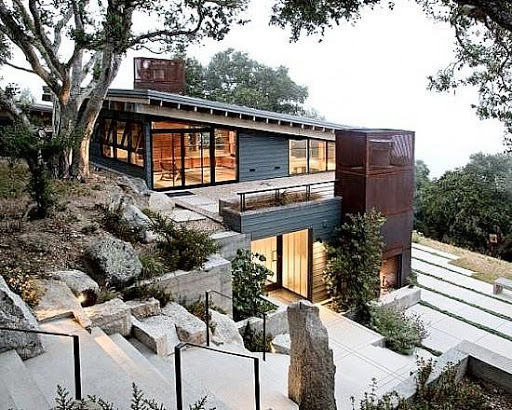 One benefit to having a steep site is that you can look at designing a stepped building which means lots of opportunity for slimmer rooms with glazing – and views. Investigate change in levels within your building and how these relate to each other and offer views out of the site and beyond. You could be looking over the roofs of the lower parts of the building from the upper. 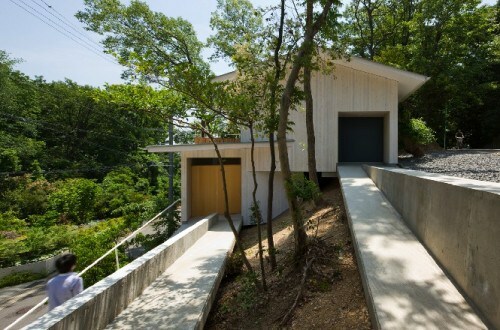 With this in mind think about interesting roof finishes or maybe sedum, green roofs. There is also the opportunity for terraces and outside spaces. 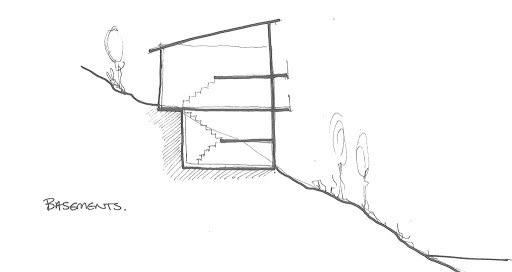 Access: Think about access and how people will be able to move through and around the steep site. Light: Consider how you will use light. Does your site benefit from a good aspect? How can you make sure you get light into the buildings? 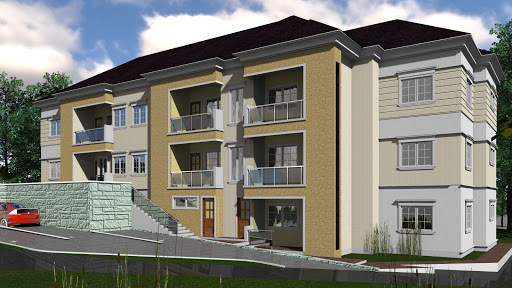 These are just a few tips we adhere to achieving a very good workable design and construction of a building on a steep sloppy site. 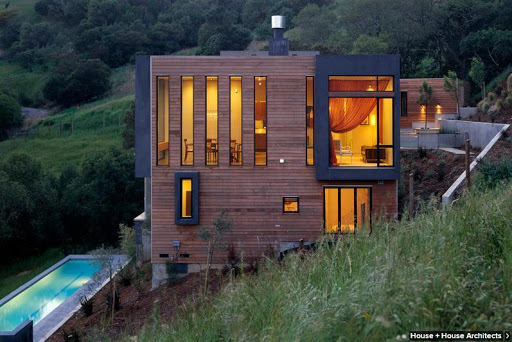 The main advise I would give you is to consult a professional when you have the challenge of building on a sloppy site. For this and any design contact us for professional jobs and advice. Email alistdevelopers@yahoo.com Phone +234(0)803 898 2710. Fill our contact form to reach us.